The Impact on our oceans and what we can do about it. 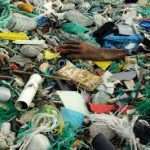 2, ocean-based, which includes garbage disposed at sea by ships and boats, as well as fishing debris, such as plastic strapping from bait boxes, discarded fishing line or nets, and derelict fishing gear. While discarded fishing gear takes its toll on the marine environment by entangling marine life and destroying coral reefs, it only comprises an estimated 20% of all marine debris – a staggering 80% of all marine debris stems from land-based sources. A study published in 2017 estimated between 1.15 to 2.41 million tonnes of plastic enters the oceans via rivers annually, with peak months being between May and October. The top 20 contributing rivers, which according to the report are mostly found in Asia, contribute around 67% of all plastics flowing into the ocean from rivers around the world. 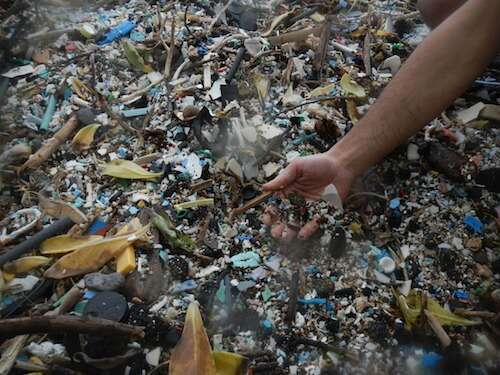 estimated number of plastic particles currently floating around in world’s oceans. 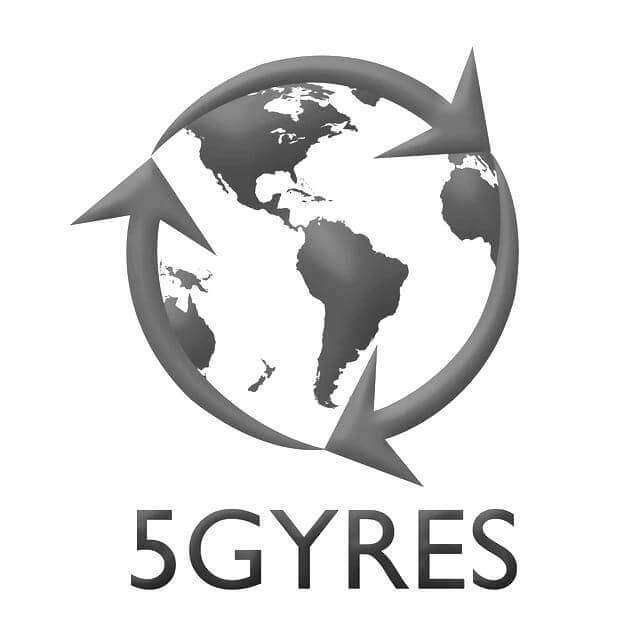 number of estimated losses per year associated with marine plastic debris due to the negative impact on marine ecosystems. – Chris Wilcox, an ecologist at CSIRO so aptly explains in an interview with National Geographic. Plastics and polystyrene foam (Styrofoam) comprise 90% of all marine debris, with food and beverage containers being one of the most common items found in ocean and coastal surveys. 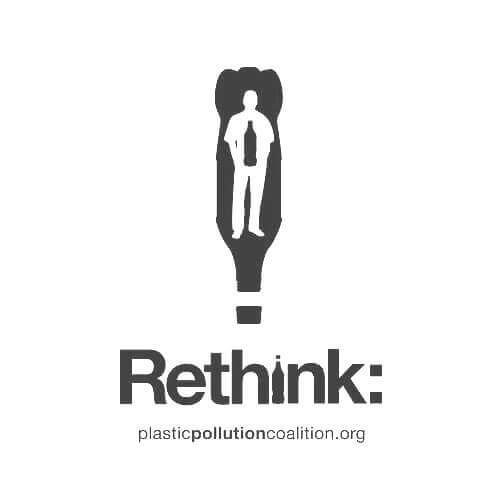 According to the Ocean Conservancy’s International Coastal Cleanup 2017 Report, if all the plastic bottles collected during the 2016 International Coastal Cleanup were stacked they would have stood 372 times higher than Dubai’s towering Burj Khalifa (828 meters high); all the plastic straws collected off beaches around the world would have stood 145 times higher than the One World Trade Center in New York City (541 meters); while all the plastic utensils collected would have stood 82 times higher than the Kuala Lumpur’s Petronas Towers (452 meters), and all the cigarette lighters collected would have stood 10 times higher than the Eiffel Tower in Paris (324 meters). 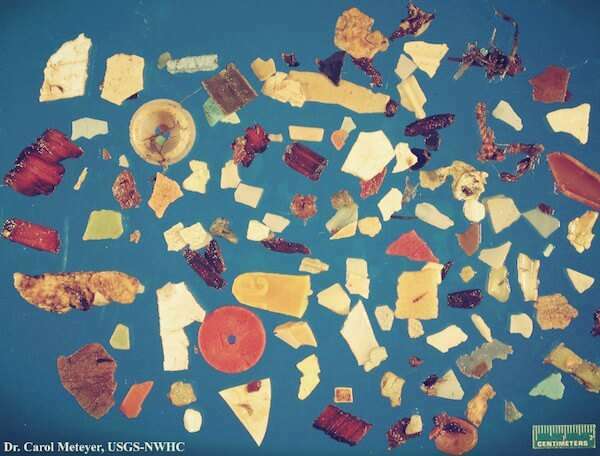 These tiny pieces of plastic, which scientists refer to as microplastic, are now recognized as a major threat to wildlife and to human health. 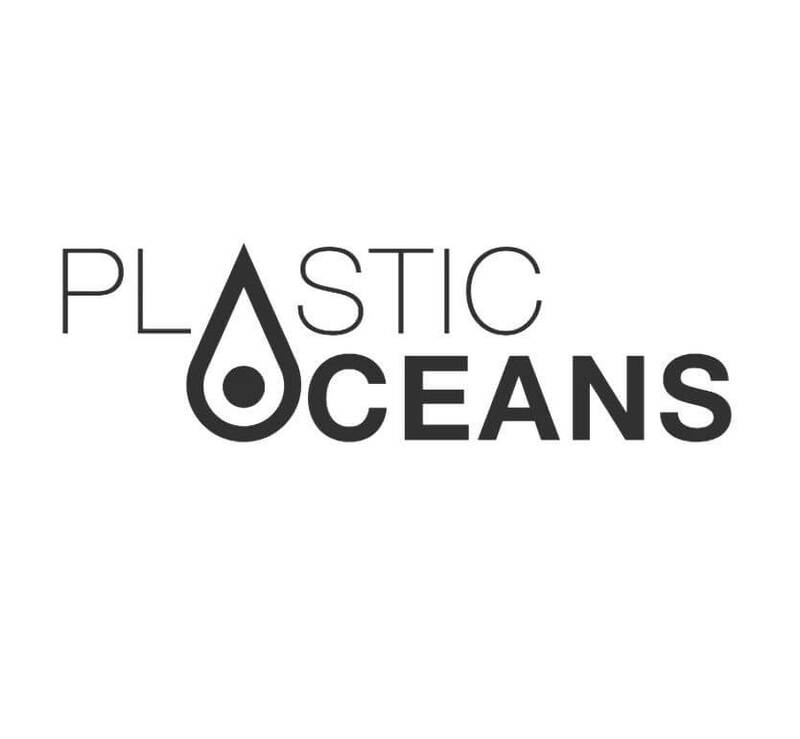 Scientific research surveys have revealed that microplastics are widespread throughout the world’s oceans, and are having a negative impact on marine life, as well as the health of humans who rely on seafood as a staple protein source. Polystyrene beads and plastic pellets are not easily digested so tend to accumulate in the digestive tract of marine animals who consume them. This can result in the animal feeling full, causing it to stop feeding, leading to emaciation and ultimately death from starvation, or it can cause an intestinal blockage that can also be fatal. 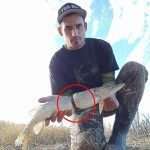 When a predator feeds on a fish that has a gut full of undigested polystyrene or plastic, this is passed on to the predator who in most cases will also have problems digesting it. Furthermore, plastics and polystyrene are made up of toxic chemicals, including petroleum, which may be released as the gastric juices try to digest it, and are absorbed into the body tissue. These toxins also leach into the water column as plastics break down, contaminating filter feeding organisms who ingest the water while feeding. But the problems don’t end there. Plastics are known to accumulate persistent organic pollutants (POPs), including Polychlorinated Biphenyls (PCBs) and DDT that are known to disrupt the endocrine system and affect development, at concentrations of a hundred thousand to a million times greater than naturally found in seawater. These contaminants are stored in the body fat and organs of animals and are passed on to predators that feed on them, becoming more concentrated in the tissues of organisms higher up the food chain. We need to tackle the problem of marine debris head on. It’s not just an issue for environmentally conscious, it is an issue that ultimately affects human health. Man is a top predator that feeds on a variety of ocean fish, shellfish and other marine species. We face the same risks as the killer whale and polar bear. While any plastic or polystyrene pellets that may have been clogging the gut of the fish that is nicely presented on our dinner plate have been long removed, the toxic contaminants originating from that debris remain stored in the flesh we are about to eat. Food for thought indeed. Clearly, this is a mammoth problem and one that needs to be addressed as a matter of urgency. One obvious solution is to switch from plastic and polystyrene packaging to environmentally friendly alternatives, such as compostable plant fiber packaging made from natural materials that readily break down in the environment without causing any harm, and which contain no harmful chemicals. Many cities and countries around the world have implemented stricter legislation with regard to plastic shopping bags, with some banning them outright. Perhaps we need to do the same for plastic bottles, straws, etc. Consumers should be proactive and opt for reusable and/or refillable containers rather than disposable packaging wherever possible. This will not only save suppliers, and by extension shoppers, money, it will also benefit the environment and everything that is dependent on the environment for survival. Because it is so tough and durable, plastic can be reused or it can be recycled. Popular musician and environmental advocate, Pharrell Williams, is the co-owner of G-Star RAW, a sustainable clothing brand that recently launched the ‘RAW for the Oceans’ collection that recycles single use plastic containers collected from beaches all over the world into stylish apparel. The ‘RAW for the Oceans’ fashion line has collaborated with Bionic Yarn, another company that Williams is both a partner and Creative Director of, which uses recycled ocean plastics to make sustainable clothing yarn. This creative approach provides a sustainable resource — there is plenty of plastic in the sea — while at the same time tackles the humungous problem of ocean plastics by putting this practically unlimited resource to good use. Who else is taking action? CSIRO. 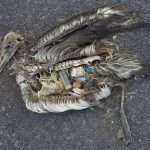 Marine debris: Sources, distribution and fate of plastic and other refuse — and its impact on ocean and coastal wildlife. WHEN I STARTED TO DIVE! We all want to have fun while diving, it’s important to feel confident and know what to do to avoid accidents. Too many times, it is a little chain of incidents that lead to a dive accident. So we looked back on our dive experience and gathered these tips you might find useful.For new divers, this article will hopefully give you a hint on situations you might encounter in the future… We identified four principles you can follow to enjoy diving and face most situations. Did you have a proper Dive briefing? Let’s start with the ‘basics’. Sometimes the dive briefing gets overlooked. And people can not be bothered to ask. A safe dive starts with a good dive briefing and an appropriate dive plan. So let’s see what it should include. If some of these are missing in the Dive Briefing, don’t be shy and ask. Are you certified for what is being planned? Many accidents happen when people are not certified for what was planned. Sometimes, because the guide tells us it’s ok, we forget the standards and just go for it. Although everything went well, this was entirely wrong. Very recently again I read about the same thing happening. Apparently it’s a common practice there. Divers who were not certified for it penetrated the exact same wreck in the Philippines, resulting in multiple death. Too many accidents happen because of breaking standards, by the dive professional and/or the divers. Please remember that you should say No if you are not qualified. You are as qualified as your divemaster or instructor to take the decision to do a dive or not. If you are not certified, say No. Do not let peer pressure or anything else impact your judgement. Are the conditions radically different underwater vs. what was planned? If this is the case, and you think it is potentially dangerous, or you do not have the experience to handle it, ask the guide to abort the dive. Again, experience taught me not doing it could lead to a disaster. We would still be there otherwise. In this case, the conditions were totally different from what was planned. But our lack of experience made us feel we had to trust the professional. Not long after that, I decided I wanted to go Pro. So that I would know how to react, what to do in these cases and not rely on unprofessional people. Also, that taught us that we needed to be more assertive, my next point. Ask questions, about anything that comes to your mind. There is not bad question, if you have something in your mind, ask. Do not wait. Get used to ask since you are getting your first certification. It is ok to miss a dive if you feel not well. Recognize signs of tiredness, stress, lack of condidence, in yourself and others. On the boat it can be someone talking too much or staying very quiet before a dive. Say NO if the dive plan goes against standards of your level. The boat ride is a perfect time to do so, ask them about their experience, when they last dived, try to assess their level of confidence before the dive, talk about how you like to dive etc. And build your respective levels of confidence. Remember, the buddy check can prevent many incidents. BRAWF stands for: BCD, Weights, Releases, Air, Fins on and Feels good. How many divers realise underwater their tank is not fully open.. it happens more than you think! So much stress could have been avoided by doing a simple buddy check. If there is an issue – cold, ears, current, fatigue… – do not wait thinking it will go away. Everyone has had issues underwater and that’s ok. Communicate it fast, that’s easier if you feel well connected to the person you dive with. Do not wait for other people to come find you or pursue your dive. The standard procedure is to look around for 1 minute then start to ascend. This is valid for the whole dive group. 4. HAVE THE PROPER SAFETY EQUIPMENT AND KNOW HOW TO USE IT! ‘What does this number mean on my dive computer? How to open the DSMB?’ There are good questions and some equipment require practice so do not be shy about it. Ask – all divers had to learn how to use these. Be conservative, avoid going into deco levels to not overload your body with nitrogen and increase your safety. Imagine you are caught in some strong current feeling difficulties and everyone is focused on his own person. Having a a metal pointer stick that could can bang on your tank can be handy to call someone attention – for an emergency (not just to show a clown fish!). You need to own a DSMB (delayed surface marker buoy – this red infating thing you use at the end of the dive). That way you can surface safely (boats will see you), and to be visible above the water (the dive boat will be able to come pick you up) This all in one of Mares is partucularly handy to keep on your BCD. An audible device, a whistle for instance, is usually attached to your BCD. This can be handy to attract the boat attention if you are far. It is also recommended to have a line cutter or a knife in case you are entangled underwater. Place it in an area easy to access. For people diving in currents, a good-to-have equipment that can save your life is the Nautilus Lifeline. It is a Radio-GPS you can attach to your BCD and activate once on the surface in case of emergency. All the boats around will receive your emergency signal and will be able to locate you. This device costs around 240 USD and it can be a life saving equipment. Because as an advanced diver, you want to see big marine life, you will dive more and more in dive spots with strong currents. Komodo, Raja Ampat, the Galapagos, the Cocos Islands… all these have strong currents. We all started to dive being unexperienced and learning from our/others mistakes, dive after dive. A good habit to have as a diver is to look at your dives, one at a time. Did anything went wrong? For you and/or others? What could have been the cause? Did we react approriately? What would you do in the future? We may have forgotten some good advice, feel free to share with us your experience! Hope you enjoyed the reading and more than anything, have amazing dives coming!